Tamashii Nations has officially unveiled their upcoming S.H. 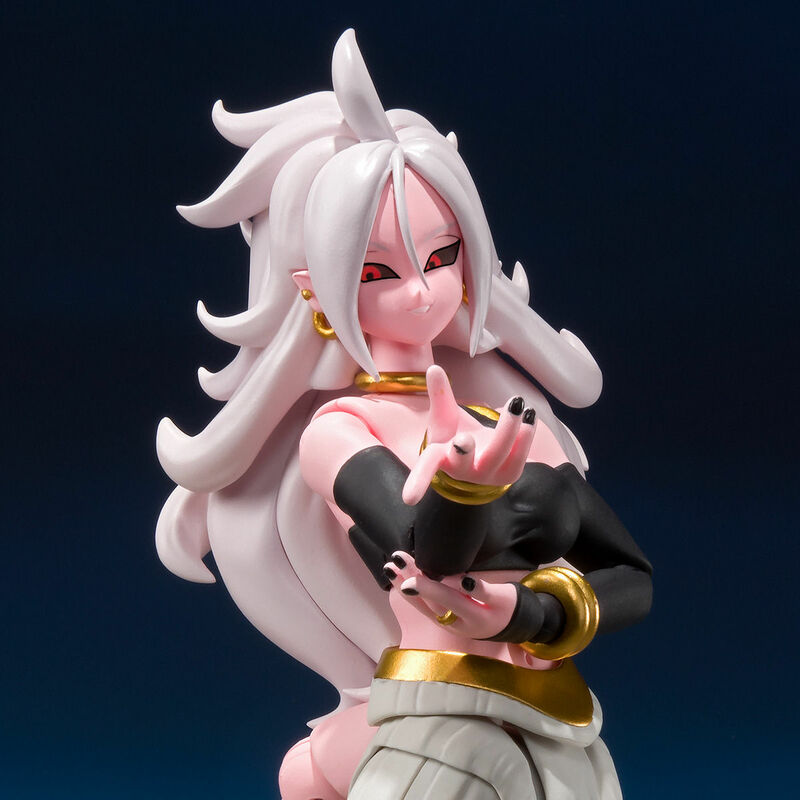 Figuarts Android 21 figure from the Dragon Ball FighterZ video game. As the main antagonist of the game, Android 21 likes to turn her opponents into tasty treats, which she consumes to steal their power. Goku teams up with longtime allies, as well as numerous hated foes, in the hopes of defeating her before her powers become too strong. The Andoid 21 figure includes multiple swap out face, interchangeable hands, and donuts accessories. The figure stands about 5.7″ tall. For it’s Japanese release, the figure is a Bandai Premium Web Exclusive. 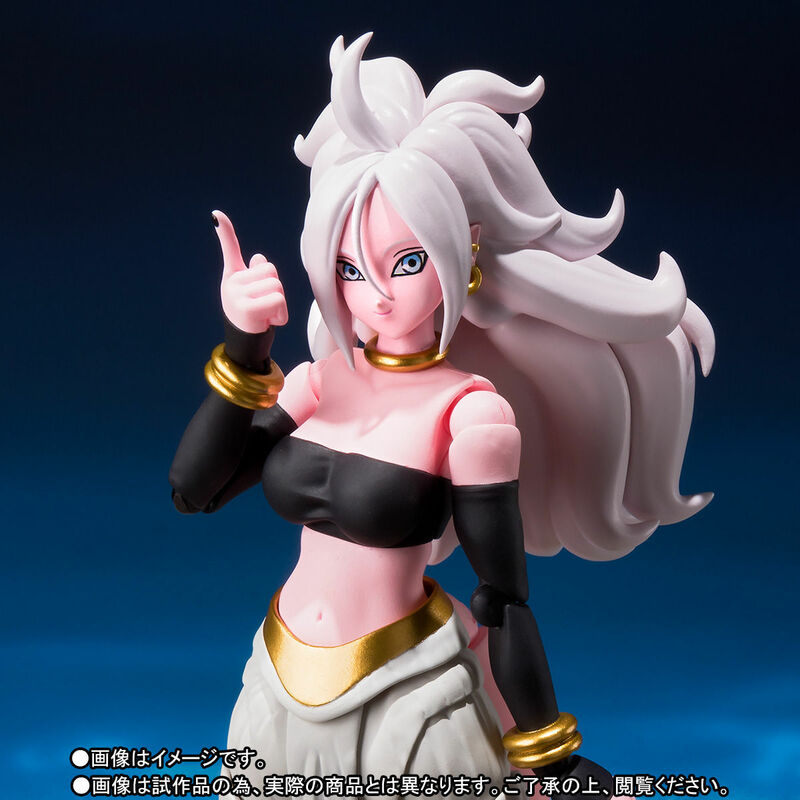 Outside of Japan, Android 21 will likely see distribution from Bluefin. 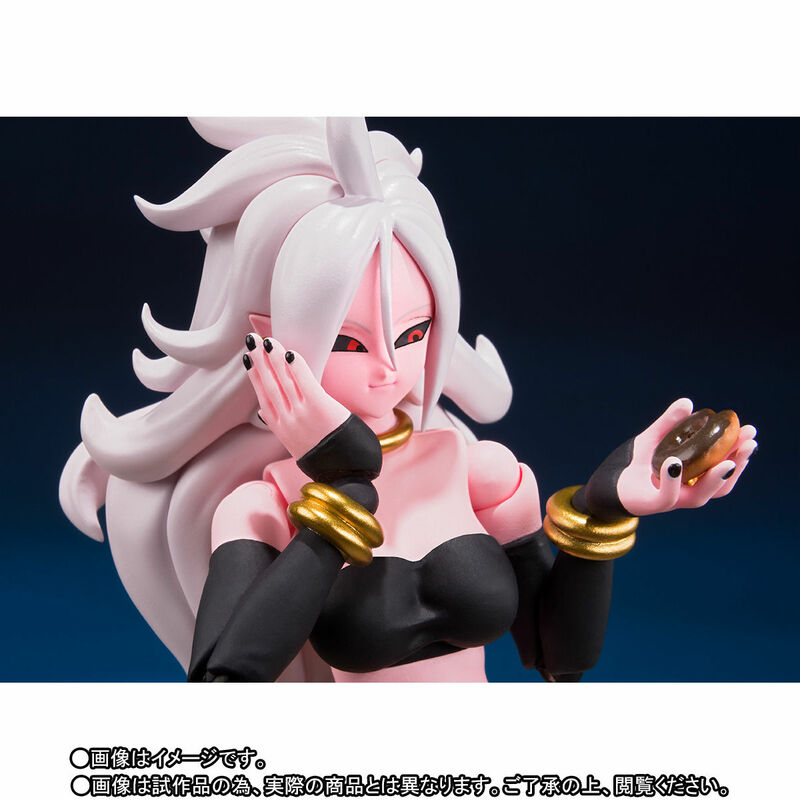 Pre-orders go live January 18th in Japan, at a price of 5,940 Yen (about $54 USD). See the new photos by clicking the headline of the story. 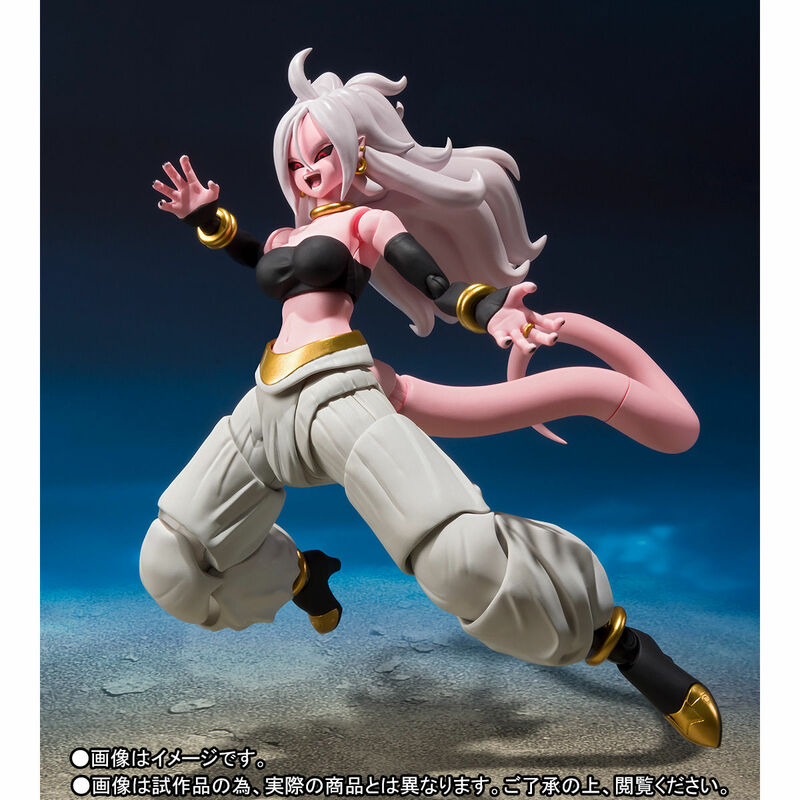 Not really a DBZ fan, but that's a really cool-looking figure. Wasn't expecting her so soon. Gonna have to watch listings like a hawk. This recent string of releases have been a pain to preorder. One of the better things to come out of the recent Dragon Ball revival I think. This figure seems like a step up for Bandai as well, I hope they keep pushing Figuarts. while it looks cool...for some reason i have no desire for this (wallet approves)..
i think it's because my mind knows it has no ties to anything i've seen/played/am familiar with..